Where does your kitty sleep at night? Your feline friend needs a home to call its own at night (assuming it isn’t out prowling the streets!). 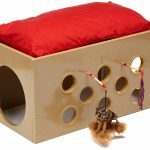 These cat houses are the perfect home within a home for your cat and can even double up as activity centres. A basic cat house is a very affordable addition to any home. Heated cat houses are snug and your cats will love them! 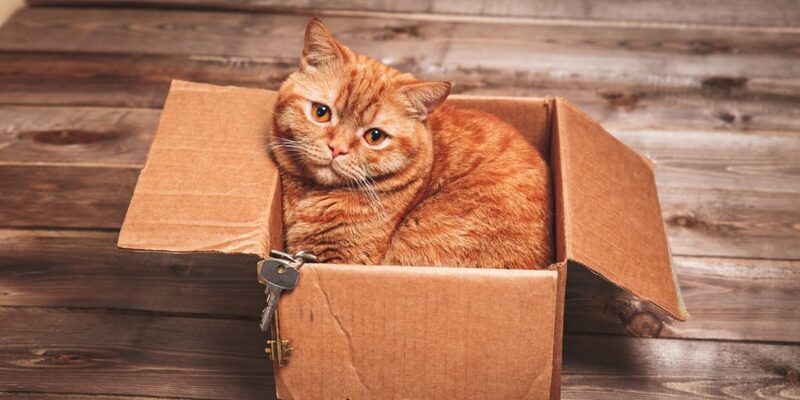 Your cat will love nothing better than to snuggle up in their warm and cost new house. From a simple padded dome to a much more elaborate house and combination play tower, you’ll find something to suit your budget. We can’t guarantee your cat will use it! Cats will do their own thing as you know! But these cat houses are all from reputable brands and have lots of happy customers. We've selected our top 3 cat houses so you can quickly pick one! Best for price. At under £10 this is fantastic value and comes with loads of customer recommendations! Best for functionality. This is great because it doubles up as a cat house and an activity centre. Your cats will love this! Best for outdoors. This is a very unique product – a safe outdoors tunnel and cat house – great if you want a safe space for younger cats. The Gear Kitty Cat Play House is a zipped outdoor containment to give your cats all-day fun with a gasp of fresh air. This Cat Scratching Barrel is from the brand Diogenes. It is a toy barrel that is designed for cats to play in and use as a scratching post. 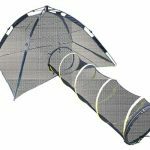 This Collapsible 3 Way Cat Play Tunnel comes from the brand Wingsky and is a fantastic play tunnel for your cats. 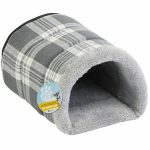 The Trixie 43001 Play Tunnel Plush comes from the brand Trixie and it is a toy tunnel designed to help keep cats relaxed and entertained for hours. If you are looking for a scratching post, the Me & My Cat Scratching Post helps replenish your felines paws and has all the other features necessary for a happy cat and owner. The Cardboard Cat House & Tunnel is a great gift for any cat – as we all know – cats love playing in cardboard boxes! This House & Tunnel comes with 2 houses and 1 connecting tunnel and is suitable for cats of all ages. The Petfusion 3-Sided Vertical Scratching Post is built as a vertical scratcher and a play area for your picky feline friends. 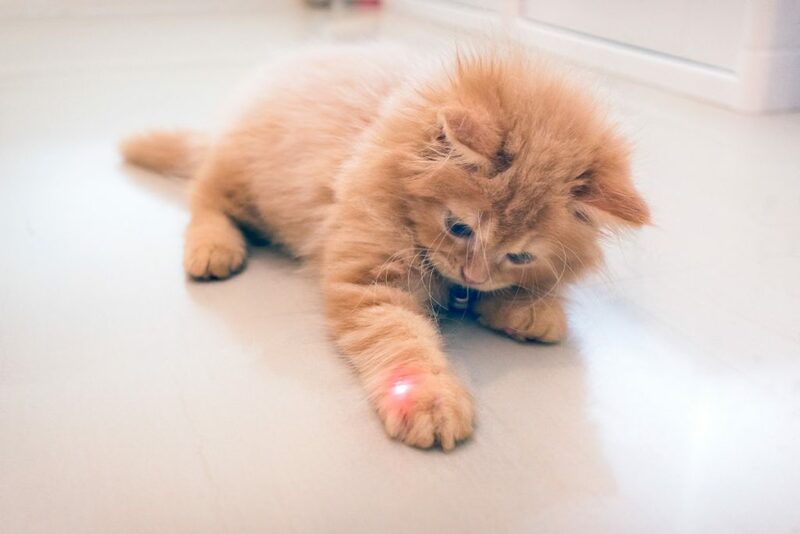 ARTICLE: Are laser toys bad for cats? When your cat isn’t sleeping the day away, they love to chase things and laser toys can be a fun way for you to interact with your cat. But can they be harmful for your cat? This article looks at the topic and covers the pros and cons. Have a question about cat houses? Leave a comment below and chat with the community. Seriously, who buys an outdoor playpen for cats? Stupid. They’re generally for people with house cats that might be a bit too timid to venture outdoors, but are still curious. The playpens can be setup in a back garden and encourage the cats to run in and out (they’re not kept inside all the time).